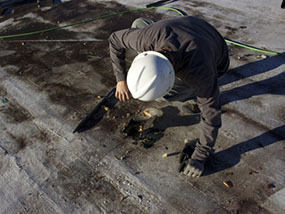 E & E Construction is one of the most dependable companies offering flat roof repair in Lancaster, OH. For over a decade, we have been offering top-notch roofing services and satisfy our customers by delivering the best workmanship in this industry. Our team at E & E Construction sticks to the best practices in every aspect and prioritizes best customer services. No matter how well you maintain and protect your roof, sometimes, you need professionals to help make things better. Sometimes, unforeseen damages can cause serious problems, and we strive to make things better for you. 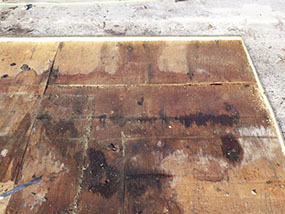 Is your building or commercial flat roof showing sign of leakage or damage? If yes, then there is no need to waste more time. Just call us and our trained professionals will come over to inspect the problem. Once we identify the source of the problem, we fix them using the best techniques in the industry. Delaying a leakage problem can cause structural damage to your walls and make them deteriorate. This is why delaying the roof repair is never a good idea. Do you need a fresh and better look for your building? If yes, a complete replacement of your commercial roof can be a huge expense, but sometimes, it is a necessity. The main concern you may have is that it can be disruptive for the business, but there is no need to worry. Our experienced team can plan and execute the replacement with minimal interruptions. We also propose the best materials to use so that we provide the best quality that matches your budget. Sometimes, a roof coating might be a more viable option instead of flat roof replacement. Having a flat roof coating is almost the same as getting a complete new roof installation just with fewer expenses, and less labor. We believe in lifelong partnership with our customers, this is why we offer reliability and lasting flat roof repair in Lancaster, OH. Simply dial (740) 331-0695 and get in touch with us today for outstanding roof repair services.